Nokia phones are making a comeback in 2017, according to a slide that was part of the company’s Capital Markets Day presentation to investors. It couldn’t get more official than this if you needed more proof apart from Microsoft exec James Rutherfoord’s confirmation of the same. Over the past year, so many leaks of Android-powered Nokia devices have surfaced, it’s not a surprise any more. Nokia has always enjoyed an immensely strong reputation among the masses. There were speculations of the company coming back to the market with new handsets even after Microsoft bought it in 2013 and started phasing out the Finnish firm’s brand name shortly afterwards. 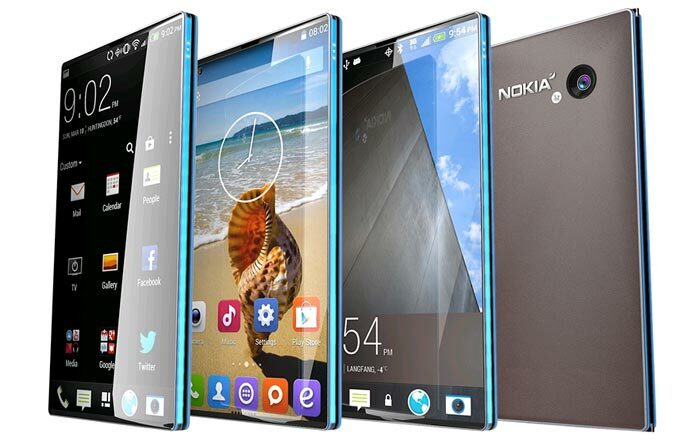 For ages, we’ve been seeing hopeful renderings of concept Nokia phones and tablets running on Android. It’s almost as if Nokia’s millions of fans wished it back into existence in the mobile device market. 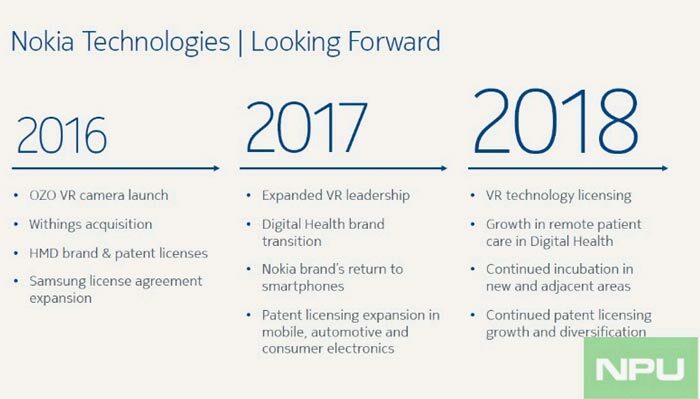 Back in May 2016, Nokia Technologies granted a relatively new Finnish firm HMD, an exclusive global license to build Nokia-branded mobile phones and tablets for the next ten years in exchange for royalties on the gadgets it sells under the moniker. According to the image of the slide published by NPU, 2017 is the year for ‘Nokia brand’s return to smartphones.’ There is widespread anticipation that a new device with the well loved moniker will be unveiled at the Mobile World Congress 2017. The company had signed a deal with Microsoft which included a specific non-compete clause, when the latter acquired it. This prevented the Finnish entity from selling any smartphone under its name until after December 2015. So it couldn’t have released a Nokia firm earlier than 2016 anyway. While there was speculation that it would reenter the market this year, rumors had painted its likely relaunch to fall in the fourth quarter. There has obviously been some unforeseen delay somewhere. Two high end Nokia handsets with Android 7.0 Nougat, Qualcomm Snapdragon 820 processors and 2K displays are expected to make their debut in 2017. So is a mid-range D1C phone and a 13.8-inch tablet.